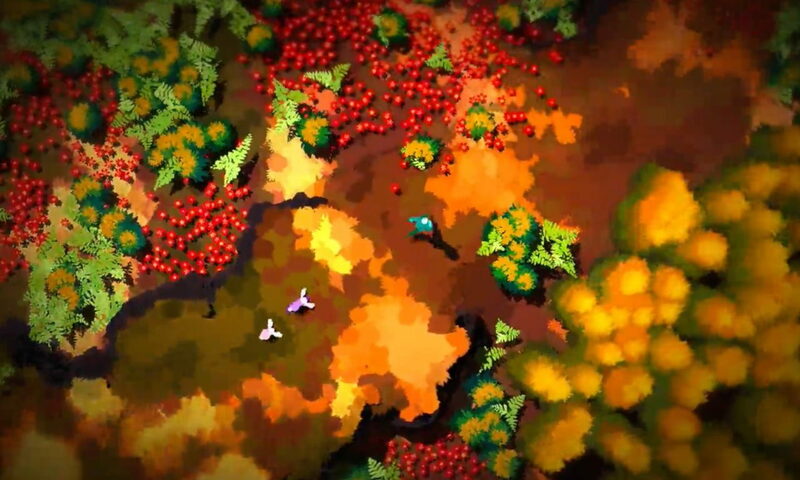 Future Unfolding is a top-down exploration game set in a pastoral world. Without direction or tutorial and with very little written text, the game invites players to go whichever direction they wish as they discover secrets in the woods, make friends and foes of the fauna, and solve puzzles. A rustic palette, rich mythology, and soothing soundtrack complete the ensemble. In this week's IndieSider, I speak with Andreas Zecher, one-third of the development team Spaces of Play. We discuss the poem from which the game draws its name; the benefits of developing their own game engine over using Unity; the melding of procedural generation and hand-crafted design; the ways in which Future Unfolding is inspired by The Legend of Zelda and Journey; and how sales of their previous game, Spirits, informed the release strategy for Future Unfolding. Watch the video above, or download the audio edition below or from iTunes, Stitcher, Google Play Music, Mixcloud, Spoke, Overcast, acast, Pocket Casts, Castbox, TuneIn, or RadioPublic. Disclaimer: A review copy of this game was provided to me by the publisher or developer. Posted On Apr 5, 2017 in IndieSider with 0 Comments.